Dr Hwang Siew Yoong Jason is an Ear, Nose & Throat (ENT) surgeon. Dr Hwang was born in Malaysia and speaks fluent English and Malay. He was awarded the ASEAN scholarship by the Singapore government at the age of 12 and subsequently completed the rest of his education in Singapore. At the National University of Singapore, he was awarded the Tan Hiak Kew scholarship and completed his medical degree in 1996. 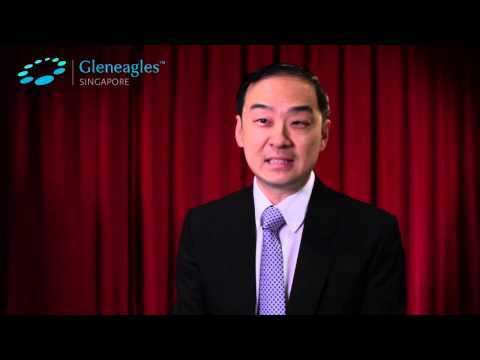 His subsequent basic and advanced surgical training has given him extensive experience, having worked at all five major hospitals in Singapore. In 2006, with a scholarship from the Singapore Ministry of Health, Dr Hwang underwent sub-specialty rhinology training at McGill University and the University of Montreal in Canada. There, he was trained by Professor Martin Desrosiers in the management of difficult sinus diseases and complex endoscopic sinus surgery. In 2007, he subsequently worked with Professor Ludger Klimek at the Center for Rhinology and Allergy in Wiesbaden, Germany. Dr Hwang is a Member of the Royal College of Surgeons of Edinburgh, Fellow of the Royal College of Surgeons of Glasgow, Member of the European Rhinologic Society and Fellow of the American Rhinologic Society. Besides general ENT work for adults and children, his sub-specialty interest is in nasal allergy, immunotherapy, recalcitrant sinusitis, nasal polyps, revision sinus surgery, computer image guided surgery and endoscopic sinonasal tumor excision. Dr Hwang is actively involved in clinical and research work and publishes scientific papers and speaks at many International and local meetings and conferences. Dr Hwang also reviews for the Singapore Medical Journal . In addition to that, Dr Hwang is on the committee for the Singapore Ministry of Health’s Guidelines on Sinusitis and Allergic Rhinitis and is a qualified instructor for the American College of Surgeons’ Advanced Trauma Life Support Course.